A compliment from President Barack Obama used for his French counterpart Nicolas Sarkozy during a state visit in Washington two weeks ago has raised more than a few eyebrows in the UK. Speaking after his meeting with Sarkozy, Obama told assembled journalists that, “We don’t have a stronger friend and stronger ally than Nicolas Sarkozy and the French people.” Almost immediately the British press went ballistic. After all, the UK is supposed to be America's number one ally in the world through their so-called "special relationship" (a term used ad nauseum in Britain, but one I've never once heard in the US). The Daily Mirror wrote, "It shatters the idea that Britain still has a special relationship with the US." The Daily Mail wrote that the words are "evidence that Mr Obama does not cherish the special relationship." An editorial in The Telegraph wrote that the statement, "represents an extraordinary sea change in US foreign policy," adding that "such a remark is not only factually wrong but also insulting to Britain, not least coming just a few years after the French famously knifed Washington in the back over the war in Iraq." By contrast, in France the statement barely registered with the media. The only thing the French media reported about the comments was that Obama called France an "exceptional partner". Any gloating about France supposedly overtaking its long-time rival as America's best friend was absent from the French press. Why the difference? In this case, the French seem to have demonstrated a better mastery of the English language than the English themselves. French papers did not gleefully report that France is now more important to the US than Britain because, in fact, he did not say that. He said the US does not have a stronger ally than France, not that France is the country's strongest ally. Essentially he was putting France on the same plain as the UK, one can assume with a 'special' class of US allies that would also include countries like Germany, Canada and Japan. So why did the UK get so worked up about something that seemed to everyone else to be just a boilerplate diplomatic nicety? Well, it's a sensitive issue for the UK these days. 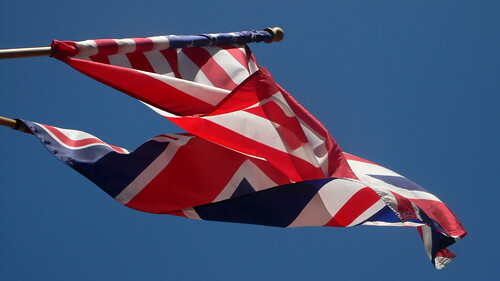 For many Brits, who obsess over their relationship with America, the idea that they might be in the same league of ally as France rather than far above them is deeply troubling. This is, after all, a country whose foreign policy revolves around its Atlantic relationship rather than around its European orientation. It may also be that Barack Obama's previous demonstrations of a lack of enthusiasm for the so-called "special relationship" made the British see something in this statement that was actually, grammatically, not there. The Daily Mail certainly seems to think so. In their column about Obama's comments they are quick to remind their readers about Obama's infamous 'snub' of Gordon Brown shortly after he became prime minister. They also repeat an often-told but dubious anecdote about Obama removing a bust of Winston Churchill from the oval office. But the British aren't just being paranoid about the Obama administration's lack of diplomatic enthusiasm for Britain. It's been a real observable phenomenon over the past two years. Part of that may just be due to the fact that the UK has become such a dependable and predictable ally that the US sees no need to tend to such a subservient relationship. France, on the other hand, needs much more wooing. But the tension goes beyond just a lack of diplomatic maintenance. For instance, the Obama administration has also openly expressed displeasure or impatience with the British attitude toward Europe. Time and again, Hillary Clinton's state department has sought to impress upon the British that the US would rather see them be a strong and participatory voice within Europe than to continue labouring under the delusion that they have an equal partnership with the US. The Obama administration has questioned Cameron's decision to move his party out of Europe's main centre-right block and has expressed worry over his party's combative tone toward the EU. The entreaties seem to fall upon deaf ears at William Hague's foreign ministry however. They are still, in their heads, very much living in a world where the UK is the most important ally the US has in the world. So when Whitehall hears words from the American president that seem to suggest that the UK's main ally is indifferent to them - it will naturally cause some worry. Increasingly though, the British media and British politicians seem to be willing to acknowledge the fact that the "special relationship" is a fictitious preoccupation that, if it ever existed at all, has long since seen its time pass. And as is evidenced by the Daily Mail column, even the British right is beginning to acknowledge this reality. But if the UK were to move away from a foreign policy grounded in their idea of the "special relationship," what foreign policy will replace it? Previous foreign minister David Milliband urged the UK to forget its "hubris and nostalgia" and look east toward Europe for its foreign policy future. In terms of practical alternatives, the UK doesn't have many other options if it were to give up its preoccupation with the "special relationship". 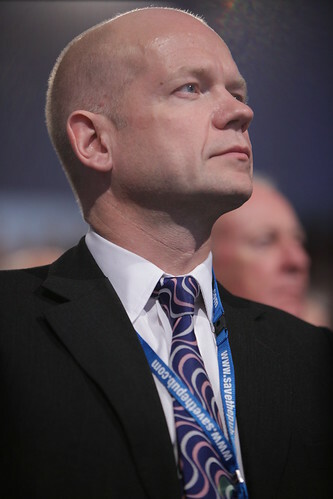 But William Hague seems a rather unlikely candidate to usher in any new era of honest, practical and realistic British foreign policy. And so we continue with this dance. In their hearts the British know they are not the most important thing in the world to America. But for many of them, that reality doesn't seem to have come up to their heads. So each time there is a reminder of that reality they feel stung and hurt, but then go back to exercising a foreign policy that is based on this imaginary relationship. It's a bizarre little ritual.